ARLINGTON, Va. — The Toyota Prius v is the only midsize car out of 31 evaluated to earn a good rating in the Insurance Institute for Highway Safety’s first-ever headlight ratings. 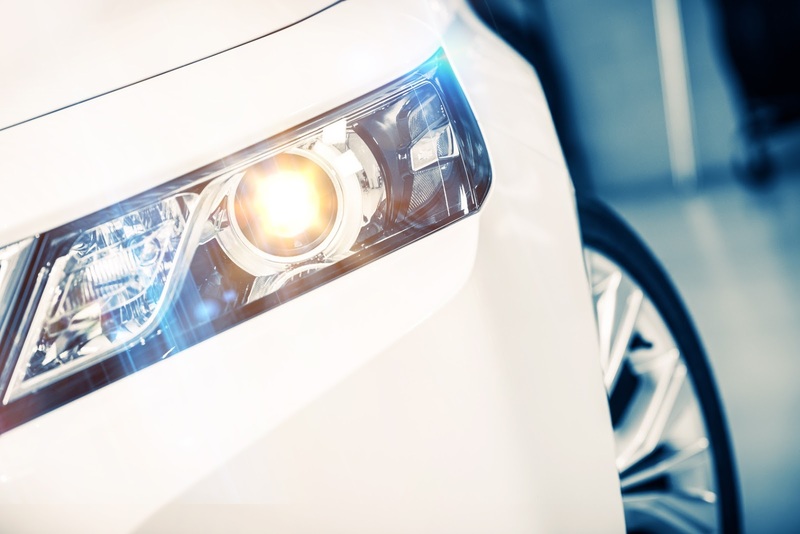 The best available headlights on 11 cars earn an acceptable rating, while nine only reach a marginal rating. Ten of the vehicles can’t be purchased with anything other than poor-rated headlights. There is nothing as amazing as the feeling you get taking a casual drive on a hot summer day with your windows rolled down and the music turned up. With all the places to see and the things to do this summer, the last thing you want to do is have your car breaking down on you or simply refusing to start. It is for this very reason that you have to make sure that you get your car checked and necessary repairs made. One of the most important checks is the auto air conditioner check. It goes without saying that the AC is one of the most important parts of the car especially over the summer when there is nothing but heat and humidity inside and outside the car. This makes getting an auto AC check and repair something that should be at the very top of your priority list. 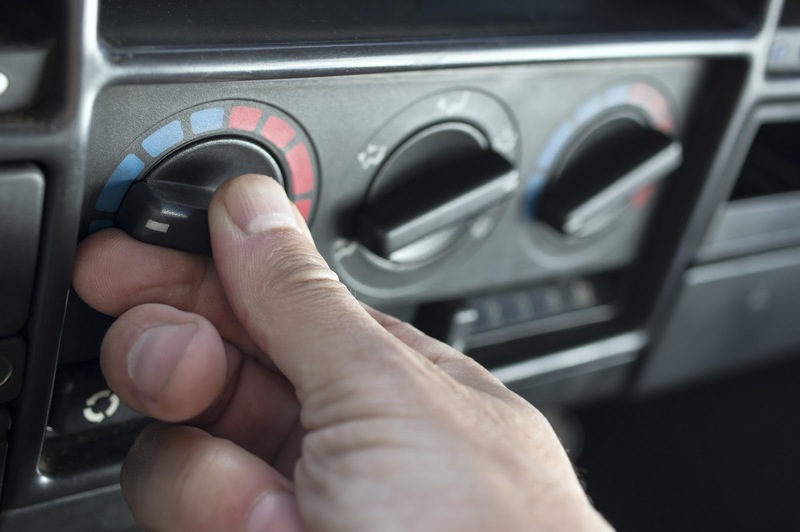 Driving on a hot summer day can be absolute torture if your auto air conditioner is not working. Getting it checked ensures that it is in good enough shape to keep you cool and supplied with fresh air as you enjoy your drive. Some parts of the car are at risk of damage from excess heat and humidity in the car. A good AC system ensures that the cool air in the vehicle also benefits these parts by cooling them and allowing them to function properly. AC checks allow you to identify potential problems early and to have them fixed as soon as possible. This will save you a lot of money in terms of costs that might be incurred fixing the problem when it gets bigger. Given the position of the AC in the vehicle, a certified technician can come across other problems with other parts while performing the check. This is a major advantage and allows you to fix these problems as soon as they are found. Automotive AC repair work is part of the recommended maintenance practices for most of the systems and ensures that you get to enjoy the cool fresh air breeze in the car for as long as possible. With all these advantages, there is no reason why you shouldn't get you car's AC checked. It is sure to make a difference in your summer and for as long as you have the car. If you think winter weather is hard on you and your family, just imagine the toll it takes on your car each and every day. After months of travelling through snow, sand and salt, you may not even be able to remember what color your car is, let alone what it feels like to have it look all shiny and clean. 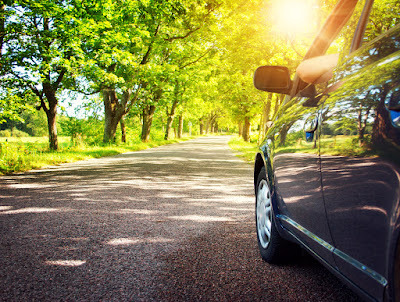 When the weather warms up it's time to give your car a fresh, clean look, and while you're at it, make sure the winter months didn't do any internal damage that may cost you a lot of money to fix later on. Packing your car with an emergency winter weather kit is a great idea, but once the snow is gone the kit should go too. Don't clutter your car with an extra snow shovel, ice scraper, sandbags and whatever else you certainly won't need now that the weather is more hospitable. This will not only free up space, but will also get you better gas mileage if you're not toting around unnecessary items. As long as you're de-cluttering your vehicle, now is a good time to wipe down the interior and get rid of the layer of dust that has settled on everything. And really, let's find out what color this car is with a really good exterior wash and wax as well. Make sure whether you wash the car yourself, or get it done professionally, pay attention to the undercarriage of your car where rust-causing salt and sand were slopped all over during the winter months. Get that warm-weather check over. Fill your wiper fluid, coolants, and check your car's other fluids to prevent overheating and other nasty problems. You also should check to make sure winter didn't wipe out your windshield wiper blades. Make sure the rubber part is still stuck to the plastic or metal, therefore ensuring your wipers will work to maximum effect. Winter is also very hard on your tire tread. With a wet, rainy spring coming up shortly after winter leaves, a good tire tread is very important. Tires with 2/23rd of an inch of tread or less are dangerously balding. To test how much tread a tires has, take an upside down penny and place it in the center of the tread in the thickest part of the tire. If you can see the hair on the top of Lincoln's head then your tread is too worn. If the penny sinks down as far as Lincoln's forehead your tires are still good. Of course you could also use a tread depth gauge that is somewhat more scientific. Air pressure is also an important thing to check as long as you're checking your tires. Maintaining the proper air pressure will help improve your gas mileage and keep your car handling safely. Avoiding the pot holes that cold weather creates isn't always easy, yet each time you dip into a pothole, the inner workings of your car are jostled and tested. Therefore, a good internal inspection of certain parts is a good idea. Belts and hoses are particularly vulnerable to temperature changes, and brakes and suspension are affected by uneven terrain, so these are good parts to take a closer look at for cracks and other damage. One thing you don't think about after the weather warms is your car's battery. Even though the bitter cold won't be affecting the battery any longer, corrosion and filth that built up over the winter still may have taken a toll. After the hard work your batter put in over the winter it doesn't hurt to clean and test it now. 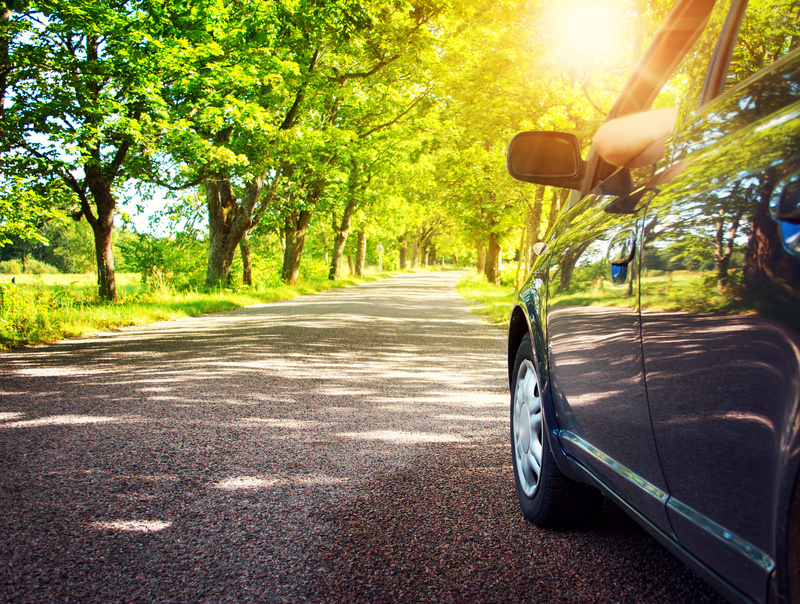 A few simple tests and cleanings can keep your car running smoothly through the seasonal transition. Each year, Consumer Reports reveals its Top Picks, the best-scoring cars. But there's a group of cars at the other end of the spectrum, the Bottom Picks. Here are the cars you'll want to stay away from. For most Americans we depend on our vehicles to get us from place to place. Yes, we can walk, take a train, bus or other form of public transportation but for many situations having a vehicle means the ability to get from one place to another. However, that mobility is seriously hindered if our vehicle is in need of repair or if proper maintenance is overlooked. Consequently, it is necessary to plan on frequent car service appointments to ensure that your vehicle is in top working condition. Of course, it is not always needful to take the car to a shop to be serviced. 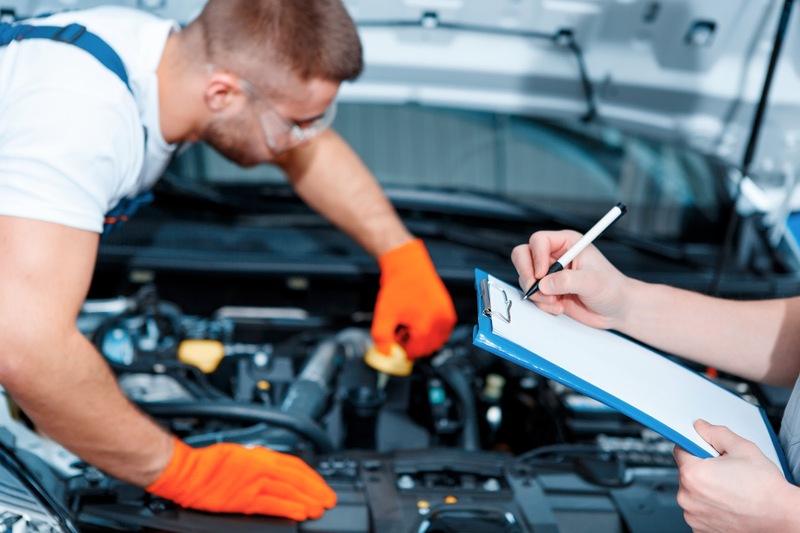 There are many actions you can take to help maintain your vehicle's reliability. Here are a few to get you started. 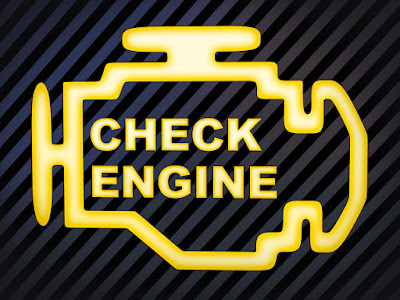 · Don't ignore the check engine light. When the light first comes on, it can be easy to overlook it or think you will get to it later. However, whenever this light comes on, it is best to go ahead and see a mechanic. These lights are designed to come when there is a problem. Early discovery can mean spending a little vs. spending a lot. · Check the tire pressure. Take time on a regular basis to see that your tires have the correct amount of air. Tires lose 1 to 2 pounds of air for every 10 degrees the temperature drops. Know what the proper air pressure is for your tires and see that they stay at optimum levels in order to get better gas mileage and give you better traction. · Get the oil changed. Motor oil and car engine technology has advanced so much over the years that, depending on the recommendations of your vehicle's manufacturers, it may no longer be necessary to get an oil change every 3,000 miles - the average oil change interval is around 7,800 miles for today's cars. However, just because the time frame is longer, it doesn't mean that you don't need to change the oil! If it is left too long, then it will affect the engine's performance. · Check the fluid levels. Take time at least once every couple of weeks to check fluids such as transmission, brake fluid, power steering fluid coolant and other fluids are topped off, as doing this will help your vehicle to run at its best. · Don't drive if the vehicle is overheated. When the engine is overheated, it will affect how it performs. Pull off the road, turn it off, and call for a tow. · Use the right filters. There are specific filters designed for your car's systems. Use the correct ones, and be sure to change them according to manufacturer's instructions. Having your car serviced is an important part of extending the life and reliability of your vehicle. If you take the time to see that these and some other, vehicle maintenance steps are taken then you can depend on your vehicle to last for many years. If you have questions about car servicing talk to a local garage. But, whatever you do, don't ignore your vehicle! Being proactive is much better than having to be reactive. Puffy coats and snowsuits can make car seats less safe. We tell you how to protect your child when it's cold outside. Auto alignments and repairs as performed by a professional auto repair shop will ensure that your tires perform better and last longer. 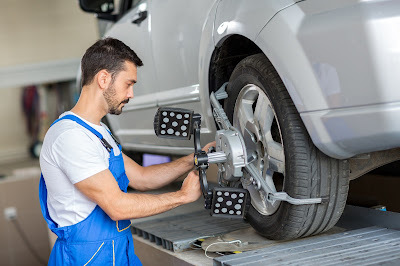 Otherwise referred to as tire alignments, these wheel alignments will also improve handling. Additionally, they keep your vehicle from vibrating strangely and/or pulling in a single direction. Auto alignments and repairs typically involve adjustments to the car's suspension. This suspension refers to the system that connects your vehicle to its wheels. Although most people assume that tire alignments involve adjusting the tires and wheels, this is not the case. Instead, the automotive repair technician will alter the angles of the wheels so that they make proper contact with the road. Qualified auto alignment technicians are typically concerned with 3 main things, the camber, the caster and the toe. Camber refers to the outward or inward angle of the wheels as viewed from the front of your car. Too much outward or inward tilt indicates improper alignment. If you notice either or both of these on your car, get an auto alignment. Your vehicle's caster angle balances cornering, stability and steering. Caster is the angle of your car's steering axis as viewed from the side of the vehicle. Should you notice that your steering wheel is tilted towards you or towards the front of the car, get your vehicle aligned. Toe alignment refers to the extent to which the wheels turn outward or inward from above. Both toe-out and toe-in alignments have to be adjusted. Improper tire alignment will cause your wheels to wear out prematurely and unevenly. In the same way, your tires will feather, meaning that the tread will be sharp on one side and smooth on the other. Similarly, tires that are not properly aligned are susceptible to camber wear and toe/heel wear. In both cases, your wheels (as well as your car) will not drive optimally. In conclusion, you need to talk to an auto alignment and repairs expert. Make sure that the expert is a trained, experienced and licensed auto repair professional. Your vehicle is likely a significant expense due to the initial price and the cost needed to keep it running. To efficiently maintain your automobile, take it in for regular car service from a professional. Hiring an expert for maintenance tasks can be a key to the overall function and life of your vehicle. The overall condition of a vehicle contributes directly to its safety. An automobile that does not run correctly can present serious safety risks for the people inside of the car and occupants of other vehicles. In addition, manufacturers periodically issue recalls due to part malfunctions or safety issues. Taking your vehicle to a mechanic for regular car service will give a professional an opportunity to inspect it for any malfunctions or potential issues. It will also enable the mechanic to inform you of recalls so you can have the required work performed to resolve issues. A car that receives ongoing maintenance according to the manufacturer's recommended schedule will typically continue to perform at a higher level than one that does not receive regular maintenance. For example, regular oil changes are of paramount importance to ensure that enough lubrication exists for engine components for the best operation. Without fresh oil, lubrication will eventually fail, and friction will cause serious damage to engine parts. You can also expect to have improved fuel efficiency when you perform regular service. The improved fuel efficiency occurs due to the finely tuned engine parts, which require less fuel to operate the automobile. Improved fuel efficiency also occurs due to regular maintenance of fuel lines, changing of filters, and maintenance of proper air pressure in tires. As you drive your automobile, the value will continue to decrease. Although you cannot stop this from happening altogether, you can slow this natural progression. Resolving problems quickly before they become more serious can extend the value of your car. It's generally more expensive to fix bigger and more serious problems than it is to fix smaller ones when they first begin. A well-maintained vehicle usually has a higher value on the market than one that has not been maintained correctly. This can translate into a higher return on your initial investment when it's time to sell the auto. Operating a vehicle under the mindset of preventing malfunctions instead of fixing them can have a dramatic impact on the overall lifespan of the automobile. When you schedule regular car service, the mechanic can adopt a proactive approach to the wellbeing of the car, looking for potential issues that have not yet resulted in damage to engine components. Checking the electrical system, brakes, lights, and battery on an ongoing basis will keep the vehicle running smoothly, which will benefit it in the long run. Find a mechanic you trust to perform regular service for your automobile. With this arrangement, you and the expert can partner together in maintaining and caring for your car to ensure maximum safety and value over the long term. If you're in the market for a car from Chrysler, Ford or General Motors, look no further. Here's a list of the American cars with high Overall Scores in seven key categories.